Within the Festival du Nouveau Cinema in Montreal (Qc, Canada), the FNC LAB resumes its mission to probe experimental, extended and multidisciplinary cinema forms. Performances, installations and experimentals films : the FNC presents a plethora of cinematographic events at the junction of film, art and expression. 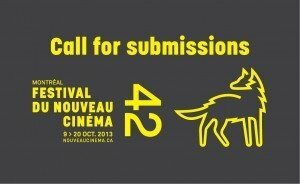 Since 1971, the Festival du nouveau cinema aims to support quality, originality, and audacity in the works it selects. Its primary vocation is to present the public with projects that combine narrative with visual exploration and technological innovation. Join the selection of the 47th edition of Montreal Festival du nouveau cinéma (FNC) by submitting your work before June 15, 2018. Also benefit from lower rates until April 30! We are looking forward to watch your creations! Repeats every week 1 times. Also includes Sun Apr 29 2018, Wed May 30 2018. Repeats every day 1 times. Also includes Tue May 30 2017, Wed Jun 14 2017. It’s with this programming rigor that the Festival has thrown itself into its quest for films (shorts and features), interactive works and performances for its 45th edition, which will take place this year from October 5th through 16th, in Montreal. Each year, the Festival du nouveau cinéma presents around 300 feature and short films, interactive works and performances from over 50 countries during 11 days of festivities, and offers over $30,000 in cash and services to the winners of national and international competition. Today, the Festival is looking for films, interactive works and performances for its 44th edition wich will run from October 7 to 18, 2015 in Montreal! Send us your works before June 1, 2015 to maybe be part of the Festival this year! Early bird rate before April 30, 2015! Today, the Festival is looking for films, interactive works and performances for its 43rd edition wich will run from October 8 to 19, 2014 in Montreal! Send us your works before June 15, 2014 to maybe be part of the Festival this year! Early bird rate before April 30, 2014! A major event on the Canadian cinema scene for 44 years now, the Festival du nouveau cinéma has proven its ability to continually adapt to the most avant-garde audiovisual practices in the field. During eleven days of festival : over 300 films (feature and short films) by directors from Québec, Canada and abroad, installations, performances, transmedia projects, cocktails, parties, conferences, and encounters are offered to the audience. Each year, the Festival du nouveau cinéma presents around 300 feature and short films, interactive works and performances from over 50 countries during 11 days of festivities, and offers over $30,000 in cash and services to the winners of the national and international competition. 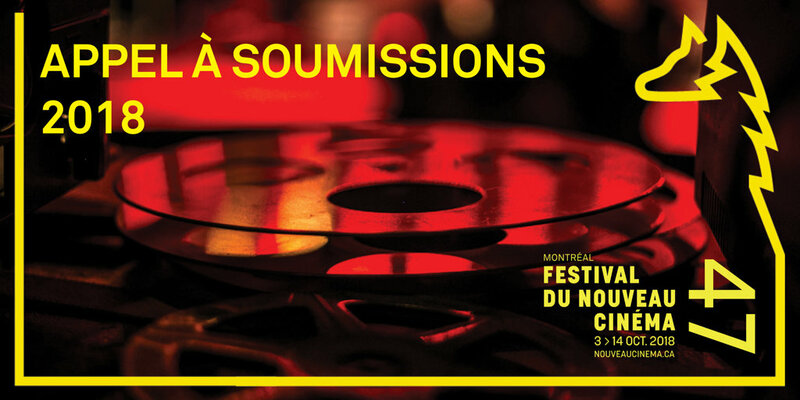 Today, the Festival is looking for films, interactive works and performances for its 42nd edition which will run from October 9 to 20, 2013 in Montréal ! Send us your works before June 15, 2013 to maybe be part of the Festival this year! Early bird rate before April 30, 2013 ! To see the 2012 Awards List, click here. The call for entries for the 41th edition of the Festival du Nouveau Cinéma is now online. All entries must be received by June 15, 2012 at the latest. As part of its section dedicated to interactive projects, the Festival du nouveau cinéma is actively looking for works that experiment with new audiovisual forms and innovative technological tools and devices to tell a story, express a concept and continue to determine more actively than ever tomorrow’s cinema. The most original and audacious projects will be presented at the Festival, and will be eligible for the Innovation Award. In 2011, the Innovation Prize goes to Vincent Morisset for Bla Bla and Bruno Masi and Guillaume Herbaut for the webdocumentary La Zone. - One page including: Title, author and collaborators (with short bios), year of production, description of the work. - A link, video or visual documentation. The Festival du nouveau cinéma proposes a series of interdisciplinary performances where artists and audiences from different backgrounds converge. Focused on the « live » quality of audiovisual and cinematic works, the performances emerge from diverse artistic practices and explore the infinite perceptual experiences of sound and image. The registration period for the 40th edition of the Festival du nouveau cinema has been extended. All entries (films, crossmedias projects, installations, performances) must be received by July, 15, 2011 at the latest.